This week, I had the opportunity to attend the 300 participant TxCTOClinic held in Austin, Texas. The mini-conference was replete with fantastic presentations relevant for Chief Technology Officers (CTOs), as well as chock full of information and data about technology management in schools. Since I am on a crusade to share great information shared at these events, I was thrilled to find out that TxCTO folks are posting all their resources online. I was also able to attend quite a few sessions–and present one myself with colleagues at http://tinyurl.com/txcto15–and you can find a list of those below. Some of these sessions were 3 hours in length, so if you’re wondering, why so few, well, wow, quite in-depth sessions. I’m also grateful to others for sharing their audio recordings. 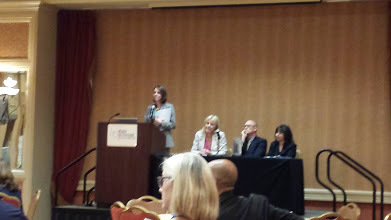 This session, Making Connections with Data and Resources, was held at the Texas K-12 CTO Council meeting on June 17, 2015. It provided some eye-opening statistics about CTOs and job in the edtech field. (…and this is the best way to listen, since my notes don’t do the presentation justice). The facilitators for the session included Joseph Christoffersen, Jamey Hynds, and Darlene Rankin, all from Katy ISD. Session description: Directors from Katy ISD will present solutions that have been put in place to connect users with data and resources. You will learn about their solutions for the districts’ dashboards, learning management system, and cloud-based portal. Attendees will see how these solutions in Katy ISD keep the staff, students, and community connected 24/7 to resources and information. Note: I have not had a chance to listen to the audio and develop notes for this presentation…yet. 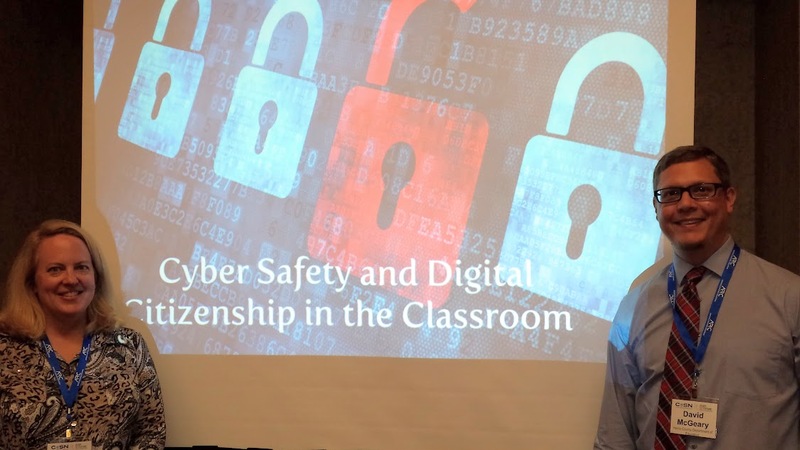 This session, Cybersafety & Digital Citizenship in the Classroom, was held at the Texas K-12 CTO Council meeting on June 18, 2015. It provided some eye-opening statistics about CTOs and job in the edtech field. Everyone has a voice….it gives quiet kids to engage and participate and be a part of the discussion. Collaboration and engagement outside the classroom…those kids outside the walls, learning how to interact with each other. Students are able to latch on and find out what’s going outside of their own classroom. Real world experts…done in many ways such as Skype/Twitter. It takes time to make connections. Teacher-parent communication…constant, active involvement. If you want to make meaningful use of the online space, you’ve got to be an active contributor in the space. More often than not, teachers don’t know how to behave. We have to discuss fluidity, maintain conversations in online space. Training teachers to be good conversationalists in online space so that’s very important. Being just a role model online is important. In the classroom…what does social media look like in the classroom? I will know when I am infected. Teachers may not share directory information: this data may include the student’s name, address, telephone number, date and place of birth, honors and awards, and dates of attendance. Malware comes from Email attachments. Posting personal information is a bad thing? Encourage kids to post so much positive things about themselves that it buries everything else online that might be bad. Encourage students to reflect their interests in a positive way online. Have a positive, constructive attitude towards what you post with others. Looking for partners as part of the Academy in pilot mode right now in Cypress-Fairbanks ISD. This session, IMA Update, was held at the Texas K-12 CTO Council meeting on June 18, 2015. It provided some eye-opening statistics about CTOs and job in the edtech field. Science and Social studies…contracts last 6-12 years. In your district, you need to look at utilization reports. In some districts, you have Curr director, superintendent, tech director. Run utilization reports, and see what was actually used. This constant monitoring is the only way to ensure the money gets recouped. Looking for a data warehouse and web-based dashboard that works on all platforms (e.g. iOS, etc.)? Thank you for visiting! Below, please find relevant material to a presentation–facilitated by Virgil Kirk, Traci Clarke, Gary Clarke, and Miguel Guhlin–at the CoSN Texas Chief Technology Officers’ (CTO) presentation facilitated in Summer, 2015. In this session, participants will explore a problem common to many public school districts—setting up a data repository and how to best analyze data. K12 Dynamics–a vendor partner–will also be present to share their web-based, mobile-friendly solution. One fact is incontrovertible: School districts need access to a bewildering array of just-in-time data collection, analysis, and aggregation and disaggregation tools that intersect along a multitude of points (such as student demographics, teacher quality, end-of-course [data]). eliminate time staff currently wasted in data hunting-n-gathering, sifting and organizing that consumes more time than the data analysis component requires. The end result is a more informed leadership and decision-making in service of students and staff. 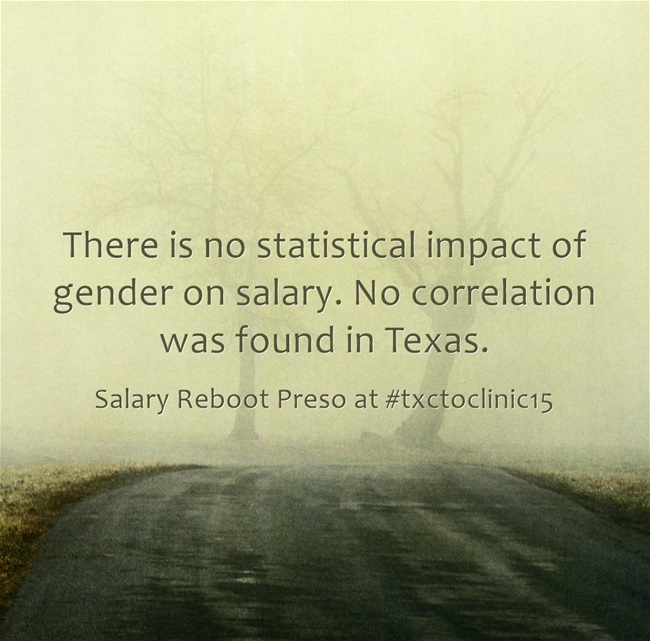 This session, Salary Reboot: Rethinking Pay for K-12 Technology Jobs, was held at the Texas K-12 CTO Council meeting on June 18, 2015. It provided some eye-opening statistics about CTOs and job in the edtech field. Look at market value, as well as non-school market. These give us a good picture of private sector and public sector. Staff can go work in other places. Private sector does not always pay better than education. in 2010, there were very low increases for technology positions. by 2012, they caught up. Texas salaries are a little late to the game. On average, salaries actually dropped from year to year due to the RIF process in 2011. Cumulatively, there’s about a 13% increase nationwide, and only 9% in Texas. Only 4.6 percent of women work in STEM careers, opposed to 10.3% for men in STEM careers. There are fewer female data points in the data. Women hold project management, business analyst roles. CTO Median Salary by Gender and Enrollment Group: There is no statistical impact of gender on salary. No correlation was found in Texas. A great presentation on the importance of process from Fred Bentsen (APQC Education), Mark Gabehart (CTO, RoundRock ISD), and Frankie Jackson (CTO, Cypress-Fairbanks ISD). These are my notes from the presentation given at the Texas CTO Clinic 2015 in Austin, Texas. While I have audio for this presentation, Fred Bentsen said, “What happens here, stays here.” So, no audio. Sigh. Why do we use these cumbersome forms? Why do we have to have so many approvals for this? Why does only 1 person know how to do this job? Why do we do this like this? This presentation is about process and measurement. You can only change the outcome if you change the processes; you only change processes for whom the outcome is broken. You can’t change outcomes without changing the processes that lead to those outcomes. Everything you do is a process…writing down that process is the first step to transformative change. What suggestions do you have to make process(es) more efficient? Why would a person in question want to change process? Processes over time end up with redundant items, while others require delegation. The processes that need to change are the ones leading to broken outcomes. The District needed improvement in various areas, such as Visioning, ALigning District Plan/CIP, Human Capital Assessment and Development, Energy Management, Conservation and Payroll process. When we started we didn’t have a service level agreement. In discussing goals and evidence of completion, she developed several tiers of service. Tier 1 involved standard response time. Tier 2 involved when something didn’t get taken care of within 1-9 days; this resulted in a consequence of an email to the team leader. Tier 4 involved 19 days or more without being dealt with. This resulted in the consequence of an email to the CTO and she had to come up with interventions and strategies for resolve this. using process and performance management tools. APQC involves systematic thinking about processes. You define real problems and identify pain points that you are having as a district. Some of the challenges include not having a service desk, enrollment registration, online registration, transportation, personnel alignment. APQC suggests ways of moving from “As Is” to “To Be,” or how to shift from current ineffective process to processes that will work in the future. Opportunity statement: This details the problem or current ineffective process. Out of Scope: The work or needs that will arise to achieve the goal that are unexpected or exceed budget. Using APQC tools is good. Since technology touches all silos, it’s important to break down dysfunctional silos. Without upper leadership support, nothing will happen. We work with people on a daily basis, so we don’t want to make people mad at us. So, one approach is to bring someone in from the outside to ask tough questions and put into place an external process (APQC) to facilitate tough conversations [Miguel’s note: this highlights the need for crucial conversations]. Get training and coaching in PPM. Appoint process improvement teams and process owners. Select three to five key processes. 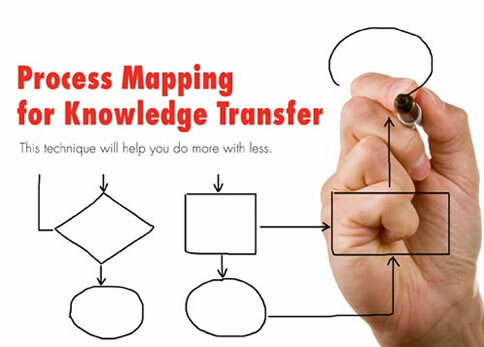 Map the current processes as is to reveal the flow and flaws. Train teams in process improvement and change management. Benchmark in your own district or with best practices districts. Collect and measure data; see gaps and waste in your performance. Do a root cause and process analysis. Draw a process map the way you think a process should be done. Create action plans and implement. 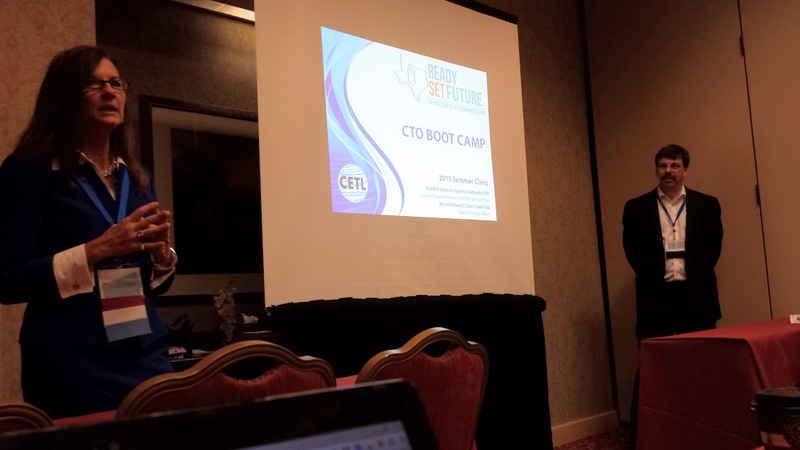 At the Texas CTO meeting, it was great to listen–in fact, let me say that this preso was GOLD–to two premier CTOs, Frankie Johnson (Cypress-Fairbanks ISD) and Kevin Schwartz (Clear Creek ISD). Both were sharing how they went out for bond packages to replace aging equipment (and ideas, people, too)…both experienced a 70% approval rating for bond packages. About Content: I stopped recording audio and taking notes about 2 hours. The remainder was about the Certified Education Technology Leader (CETL) testing process. Thanks to Kevin and Frankie for granting permission to record and share. Session is designed for new and aspiring CTOs to help them with strategies and skills of becoming a chief technology officer. Learn about the Essential SKills Framework for CTOs and the Certified Education Technology Leader (CETL) certification program. Current CTOs can also benefit from this session. If it’s not this certification, then what else is it going to be? To level set the skills, what other certification is there? Let’s work together to build the next generation of CTOs. A poll of the room reveals that most folks report to the Superintendent. A lot of school districts are trying to figure out how and where the CTO fits…whether on instructional or technical side. Leadership has to bridge this. The CTO position has changed over the years. There is a lot of power when you report to the Superintendent and are on the Cabinet. What are some of the new things you’ve encountered? Digital citizenship – not using technology to control people. This is also about understanding pedagogy. Security & autonomy – teachers entering confidential student information into the cloud…but should they be? And how are those apps being blended into the classroom? Finding more demands on doing professional development for new teachers and staff. ACLU – Blocking categories that was perceived as being against civil rights. As more departments embrace technology, we are expected to become the experts in helping implement and maintain their program improvements. This is nothing new but just seems that more and more departments are turning to technology. Don’t be afraid to “steal” from other bond projects to build your own. Supervising technicians to evaluating out-sourced work and setting up effective helpdesks. Writing policies that dictate behaviors to writing guidelines and curricula that encourage safe and responsible use. Knowing less about the “how of a new technology to the “why” of a new technology in education. Maintaining the status quo to selecting and planning for new technology applications and best practices. As a CTO, you have to have a process in place so that you don’t take all the blame yourself. Identifies the skills and knowledge that CTOs need to either acquire or to strengthen. Defines best practices, whether or not they are followed in every school district. 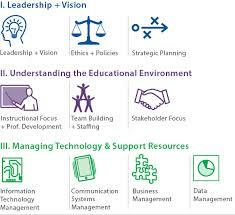 Illustrates the expanded role of CTO as an education–not just technology–leader. This is more than just someone who can make the magic happen. Provide roadmap for professional development for both CTOs and those who hire them. Clarifies the need for partnership of teaching, learning and tech services. Understand the big picture: Reframe everything you do in technology to reflect the big picture…the vision about the learning. Strategic Planning: “Have a high-level view across the school system and work with instructional and technical teams to identify steps needed to transform the technology vision into a long-range plan, complete with specific goals, objectives, and action plans.” When someone is asking, “To what do we aspire?” make sure you are in the room to be a part of that. Mitigate risk: It is important to build relationships PRIOR to whatever initiative. As you mature through the process of mobility, you acclimate people. The next level is how are you going to be more efficient, acclimating parents to new efficiencies. Finally, how do you just make it more efficient. Build relationships and partnerships. 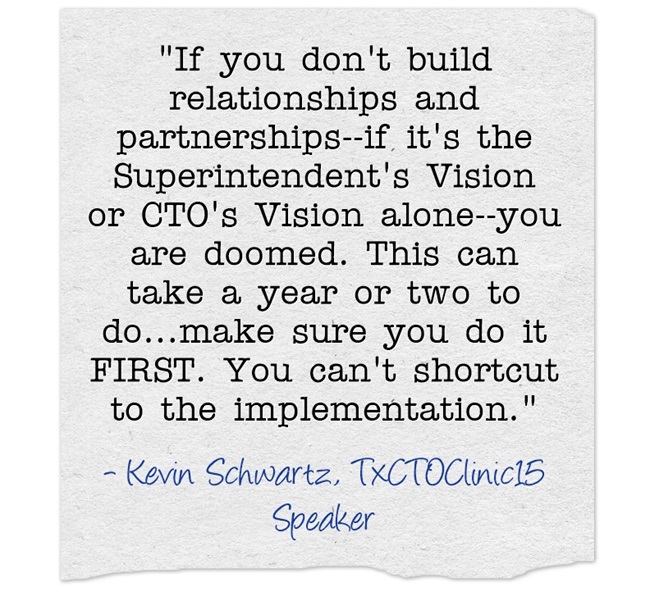 If you don’t build relationships and partnerships–if it’s the Superintendent’s Vision or CTO’s Vision alone–you are doomed. This can take a year or two to do…make sure you do it FIRST. You can’t shortcut to the implementation…one year from ideation to implementation. Direct, coordinate and ensure implementation of all tasks related to technical, infrastructure, standards and integration of tech into every facet of district operations. Communication Systems – Use technology to improve communication, directing and coordinating the use of email, district websites, web tools, voice mail systems, and other forms of communication to facilitate decision-making and to enhance effective communication with key stakeholders. Business Management – Manage the budget and serve as a strong business leader who guides purchasing decisions, determines the return on investment for all tech implmeentations, fosters good relationships with vendors, potential funders and other key groups. Manage the establishment and maintenance of systems and tools for gathering, mining, integrating and reporting data in usable and meaningful ways to produce an information culture in which data management is critical to strategic planning. We have to acknowledge that we are 50% of the problem – Superintendents are on one side, we are on the other. This realization can be empowering. Note: I stopped recording audio and taking notes about 2 hours. The remainder was about the Certified Education Technology Leader (CETL) testing process.